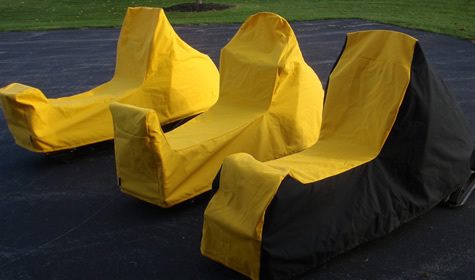 I have turned the Antique Snowmobile Cover portion of the business over to a good friend of mine, Tom Halloran. Tom resides locally, will have the same sources that I had, and will be producing the same high quality covers that our friends / customers have come to know since 2009. All cover models will be available from Tom at his e-bay store, csrsales11, and also on his website at: www.classicsledrestoration.com. In addition to the 12 covers that are now offered, Tom plans to expand the line. In my opinion his work is exemplary and his character, exceptional. I am very pleased that this portion of the Antique Snowmobile business is going to be carried on by Tom. 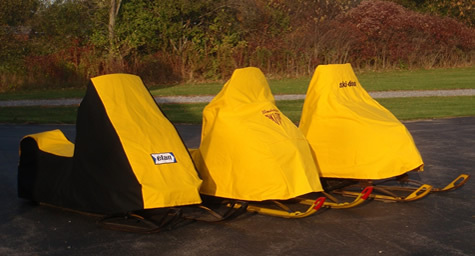 Visit Classic Sled Restoration for all cover sales!